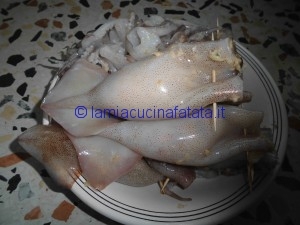 HO COMPRATO DEI TOTANI IN UNA PESCHERIA ,QUI AL MARE ,FRESCHISSIMI ED IO E MIO COGNATO ABBIAMO DECISO DI FARLI IMBOTTITI CON UNA PANURE DI PANE RAFFERMO ,TENTACOLI TRITURATI,PECORINO E GRANA GRATTUGIATO,AGLIO E PREZZEMOLO E UN UOVO PER AMALGAMARE IL TUTTO. CUOCERLI ROSOLANDOLI CON UN’OTTIMO OLIO EXTRAVERGINE D’OLIVA E SFUMATI CON UN BICCHIERE DI FIANO CON L’AGGIUNTA DI POMODORI FRESCHI. 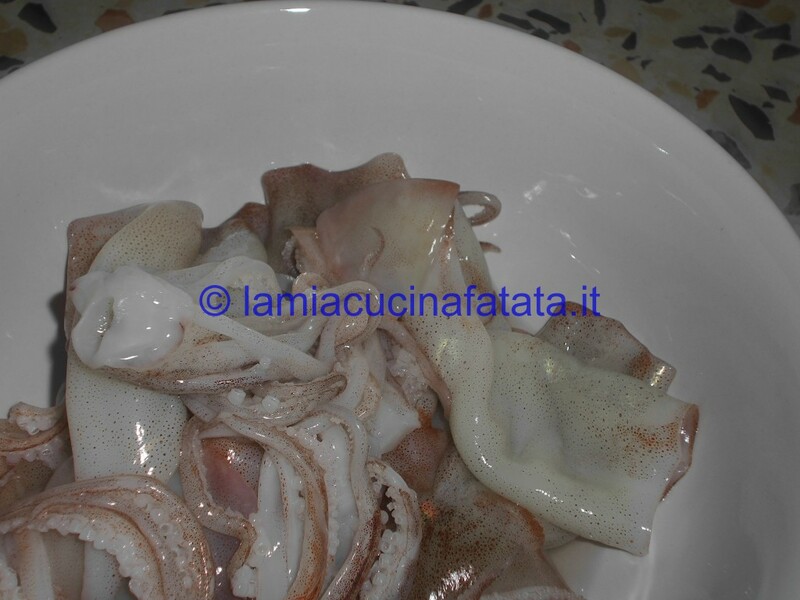 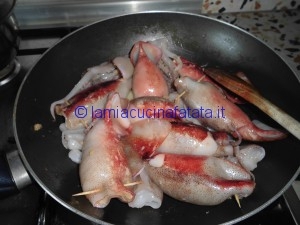 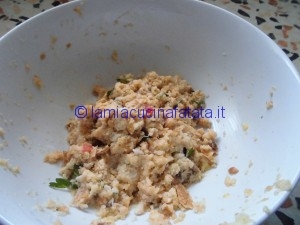 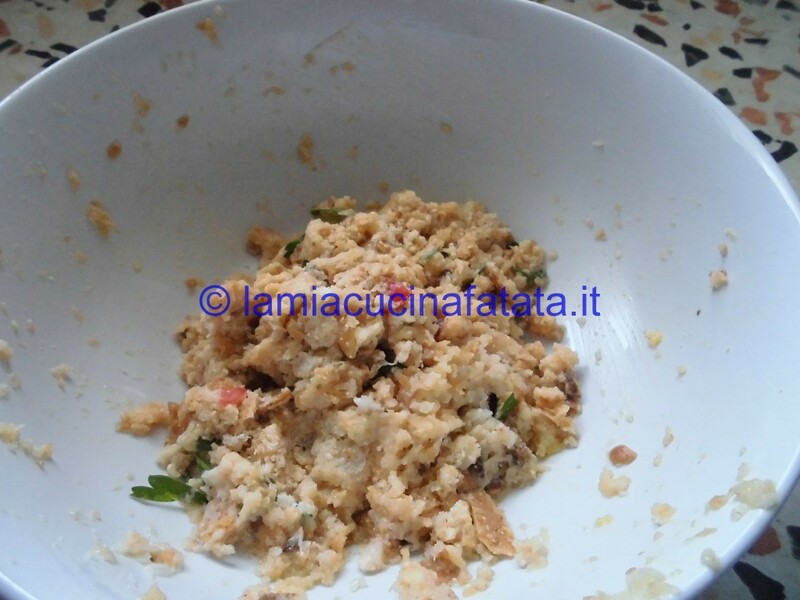 PULIRE I TOTANI ,TOGLIENDO LE SACCHE E SCIACQUARLI PER BENE ;INTANTO PREPARARE LA PANURE CON IL MIXER TRITARE IL PANE RAFFERMO ,IL GRANA ,IL PECORINO E L’AGLIO E IL PREZZEMOLO ,AGGIUNGERVI I TENTACOLI TAGLIATI FINEMENTE ,SALARE E AMALGAMARE.RIEMPIRE I TOTANI CON LA PANURE,CHIUDERLI CON UNO STECCHINO.IN UNA CASSERUOLA ,METTERE L’OLIO CON UN AGLIO,QUANDO E’ IMBIONDITO AGGIUNGERVI I TOTANI E I TENTACOLI ,ROSOLARE E SFUMARE CON IL VINO.QUANDO IL VINO è EVAPORATO ,AGGIUNGERE I POMODORI PRIMA SCOTTATI E POI PELATI A PEZZI E LASCIAR CUOCERE PER UNA MEZZ’ORA.AGGIUNGEREVUN TRITO DI PREZZEMOLO E SERVIRE BEN CALDI. 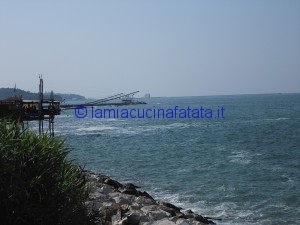 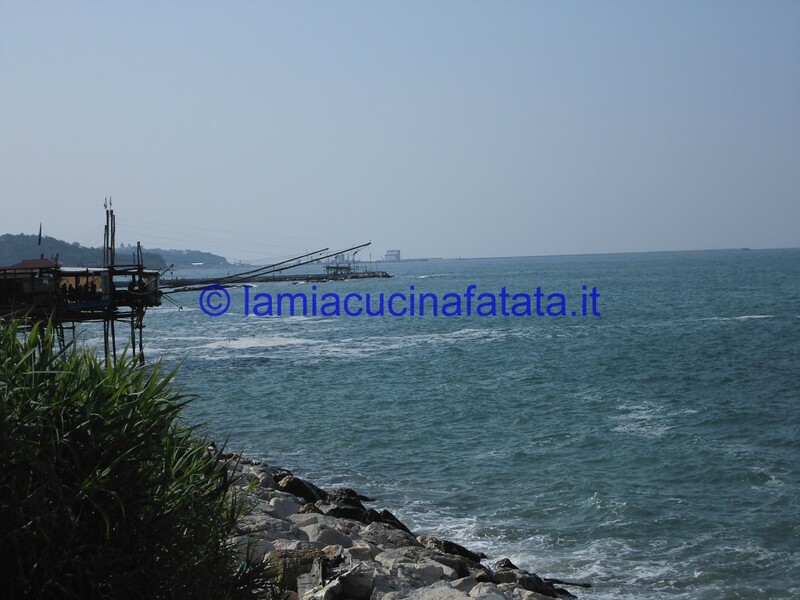 QUESTA è LA FOTO DEI TRABOCCHI D’ANNUNZIANI DOVE GLI ANTICHI PESCATORI TIRAVANO LE RETI . 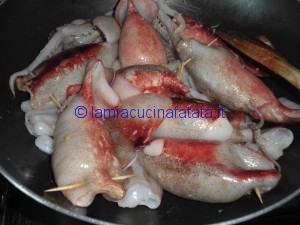 1 Commento su "TOTANI IMBOTTITI AL SUGO DI POMODORI FRESCHI"